The home building process can be a fun and exciting experience; however, it also requires ample time for the extensive planning that is needed to put the whole project together. There are many things that go into consideration for new home construction, which is why the sooner you get in and get started on the process, the quicker we can start your new home. What you should consider when building a new home? Where is there land for sale if I do not already own land? What Morgantown neighborhoods are available to build in? 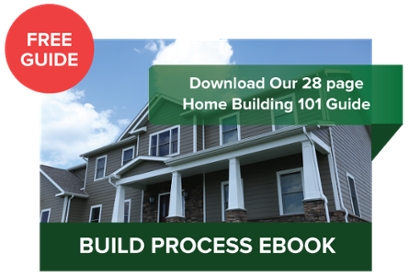 What exactly is the home building process? What different house plans do we have? While all of the above are important questions, choosing a house plan and getting it personalized to meet your needs and then getting your mortgage arranged will be the most time consuming. How much square footage do I want/need to add? How many bedrooms/bathrooms do I need? What color and style of cabinets do I want? While the planning is going on, the bank can be working on getting together the paperwork and information that they will need to approve and close your loan. A consideration is that spring is an incredibly busy time for us, so starting the home building process now will allow you to get a jump on those who wait. Meeting with Dave, our salesman, now versus later when spring is already here would allow you to get the process going before those in the spring time rush. What House Price Ranges Do You Have? Do You Build Houses in the Colder Months? Even with the weather starting to get colder, we will keep building houses. We do continue to build during the winter months. We currently have houses under construction, and we would be more than happy to take you on a walk through of these homes. These homes are in different stages of the building process, and you would get to experience a little bit of what the process really is. During the planning process, and while you're still in your old home--use our quick tips on how to keep up maintenance on your current home. Inspect all doors and windows. Before the snow and ice arrive, make sure your doors and windows are properly sealed. Replace your furnace filter and check your chimney and fireplace. These are quick and easy tasks that can prevent future heating problems. Replace old or expired outside lights. Replacing any burnt out lights on the exterior of your home will illuminate any ice or snow hazards for your family. Vision Homes has been building homes for more than 20 years now, and we would love to add you to our family. Come in to visit with us and learn how we can build you a house you’re proud to call home! Still researching the home building process?